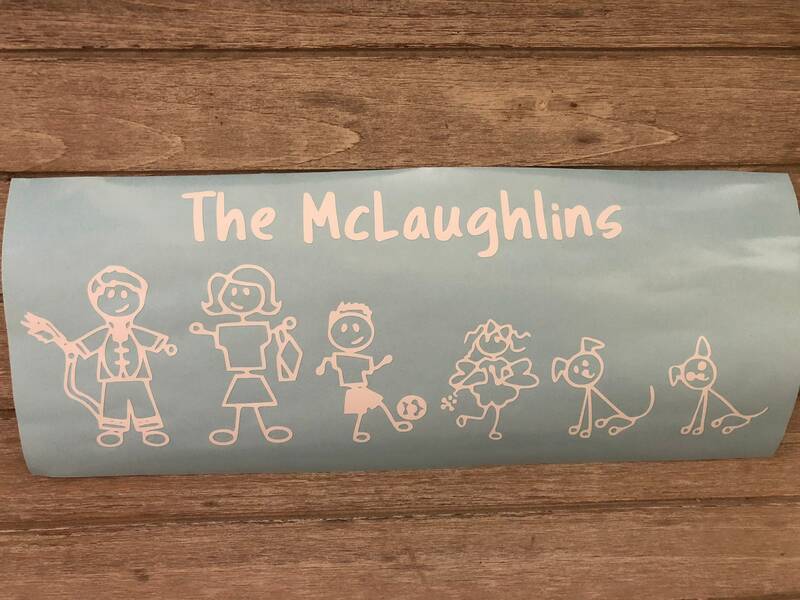 This listing is for a one family members decal / sticker as pictured @ $3.00 per family member. Once you have selected all your decals of different family members and submitted your order we will then cut them as one large decal with all family members together. Family name can be added to decal above family members (see pictures for samples) and select which font you would like from the drop down menu. The addition of family name is charged at an extra $3.00. Choose family members from the drop down menus. 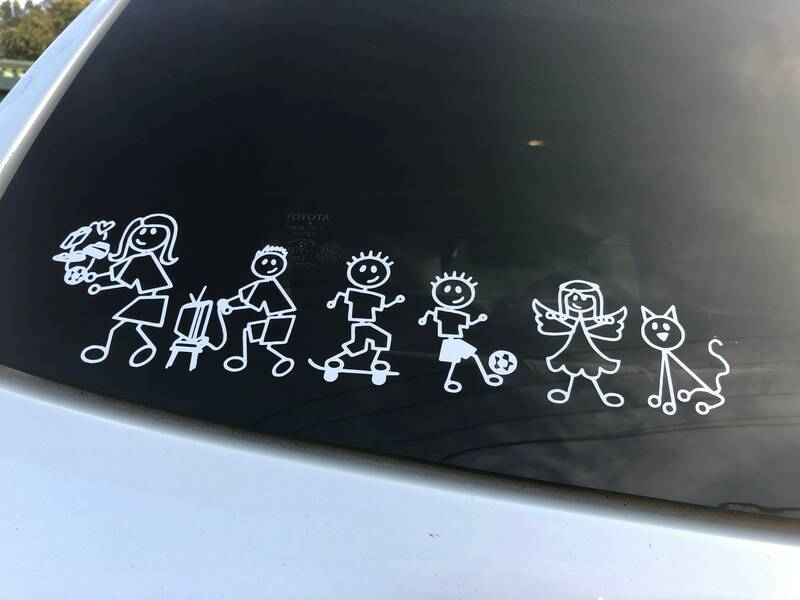 The price is for one decal only (add each family to your shopping cart separately). (If we don't have your preferred decal here send us a message with your family members favourite activity and we will design it for you).